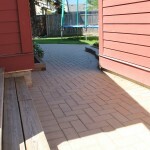 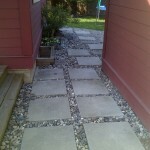 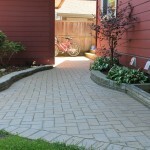 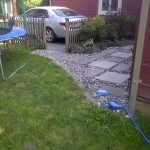 Lisa Kean Walkway | LawnPro Landscapes LTD.
Lisa invited LawnPro over one day to solve a problem. 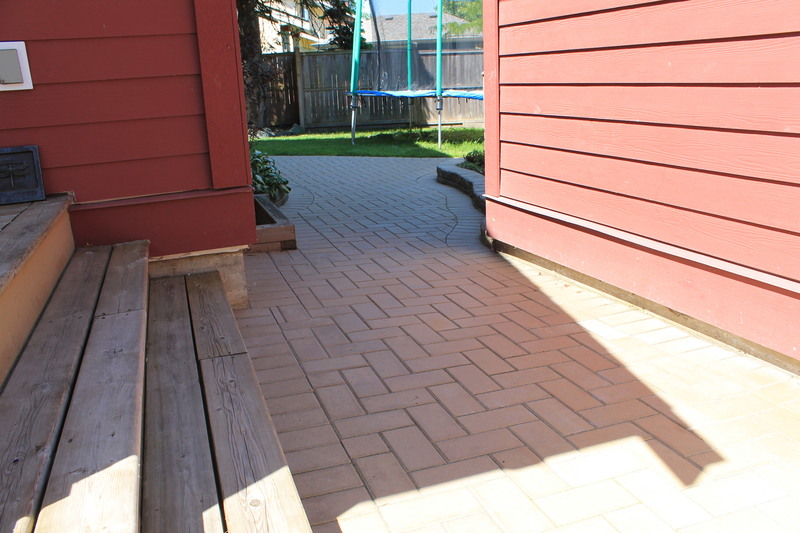 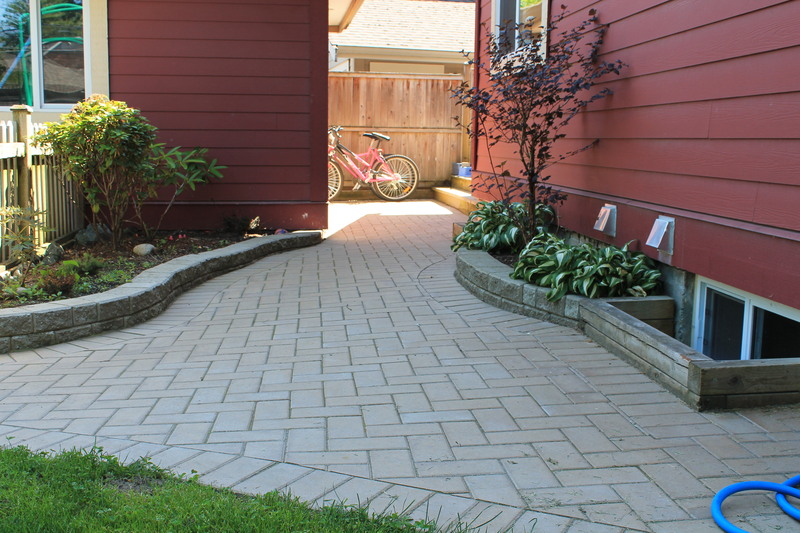 Her backyard pathway was not accommodating and actually dangerous for her young child with mobility issues. 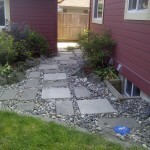 The rocks and slabs were proving to be a tripping hazard. 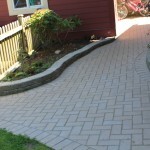 Lawnpro landscapes cleaned up her existing pathway and installed a new paving stone one with a StackStone garden bed on either side to help clean-up the area and direct water away from both the garage and house. 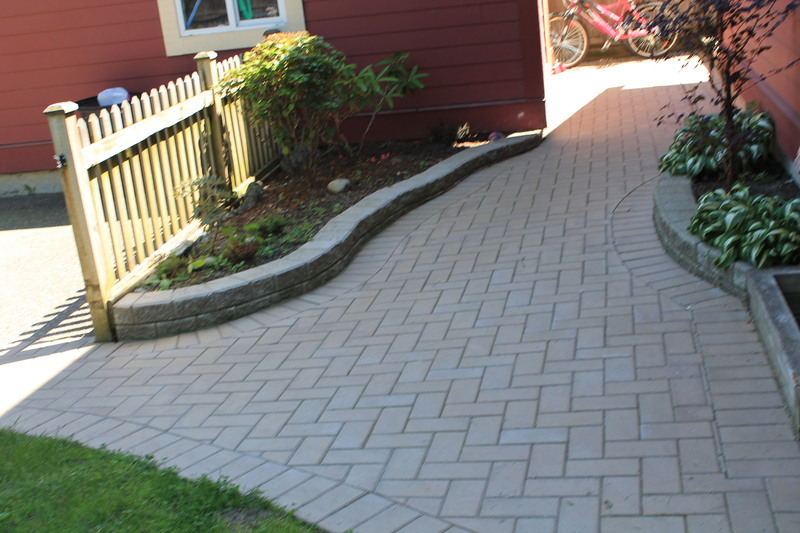 SharkGrip was applied to the paving stones with a sealer to not only further protect the paving stone, but also provide for maximum grip during winter months.